Parrot Security 3.2 CyberSloop is based on the Debian GNU/Linux 9 “Stretch (Debian Testing) operating system, Parrot Security 3.2 is now powered by Linux kernel 4.7.5. As usual, the kernel is custom hardened by the skillful developers behind the Parrot Security project, and it’s injected with various patches to support a wide range of hardware. Another exciting feature of the Parrot Security 3.2 release is the addition of the latest MATE 1.16 desktop environment, available in the Full Edition. 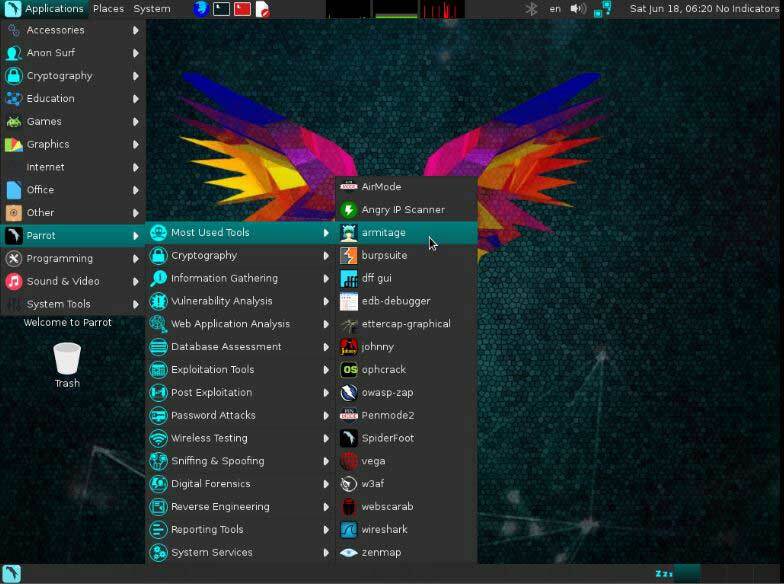 Parrot Security 3.2 is here mostly for those who want to install the ethical hacking distro on their computers, or existing users who want to reinstall due to various reasons. However, if you’re running Parrot Security 3.1 or a previous version from the 3.x series on your machine, all you have to do is update your installation. Besides the Full Edition that’s shipping with the MATE 1.16 desktop, Live ISO images of Parrot Security 3.2 are currently provided with the LXDE desktop environment (Parrot LXDE Edition – 32-bit only), and you can also download Parrot Cloud Edition, Parrot Lite Edition, and Parrot Studio (64-bit only). Recommended requirements for running Parrot Security 3.2 are a computer with at least 1Ghz dual-core processor, 32-bit, 64-bit or ARMhf, minimum 256 MB of RAM (2 GB RAM recommended), Legacy BIOS or UEFI, and up to 16GB free disk space. Download Parrot Security 3.2 right now via SOURCFORGE.